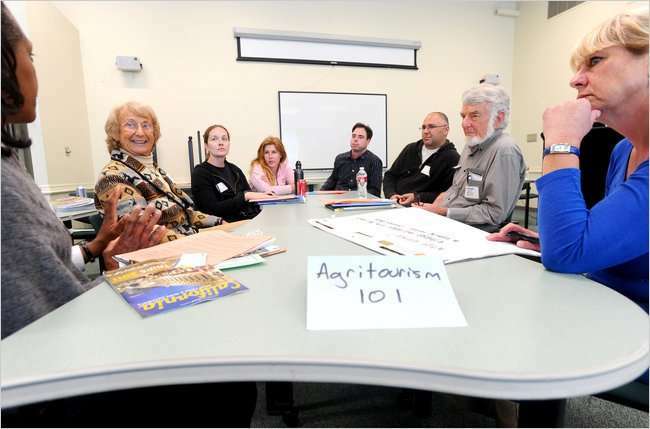 Just wanted to throw up a quick picture that appeared in the New York Times at a workshop in Salinas, Calif where we were discussing agritourism. Be sure to read the article titled “Small U.S. Farms Find Profit in Tourism“. This entry was posted on Thursday, September 13th, 2012 at 12:01 PM	and is filed under Misc.. Both comments and pings are currently closed.